We present a very stylish jacket that will change your overall personality. 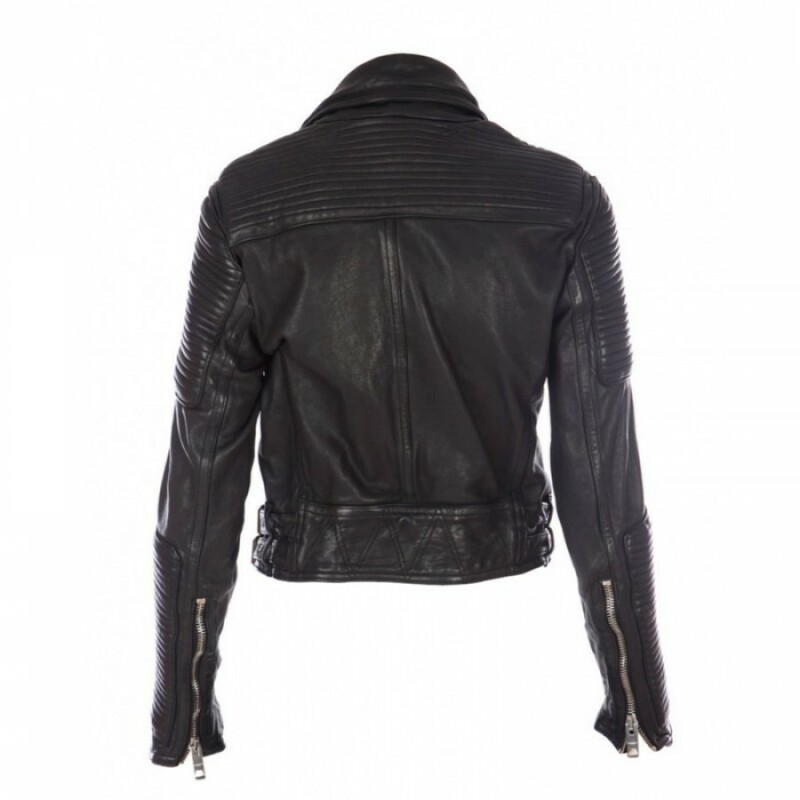 Yes, you can get this specially designed Burberry Prorsum Biker Jacket at very competent price. This stylish jacket is specially designed for those who love riding and want to look like a typical biker. So, this Burberry Prorsum Motorcycle Jacket is simply best for bikers. The most appealing aspect of this latest jacket for bikers is that it protects them from even heavy storms, winds and rain. In fact, you can confidently and easily ride on your bike, regardless of the long duration of your journey. 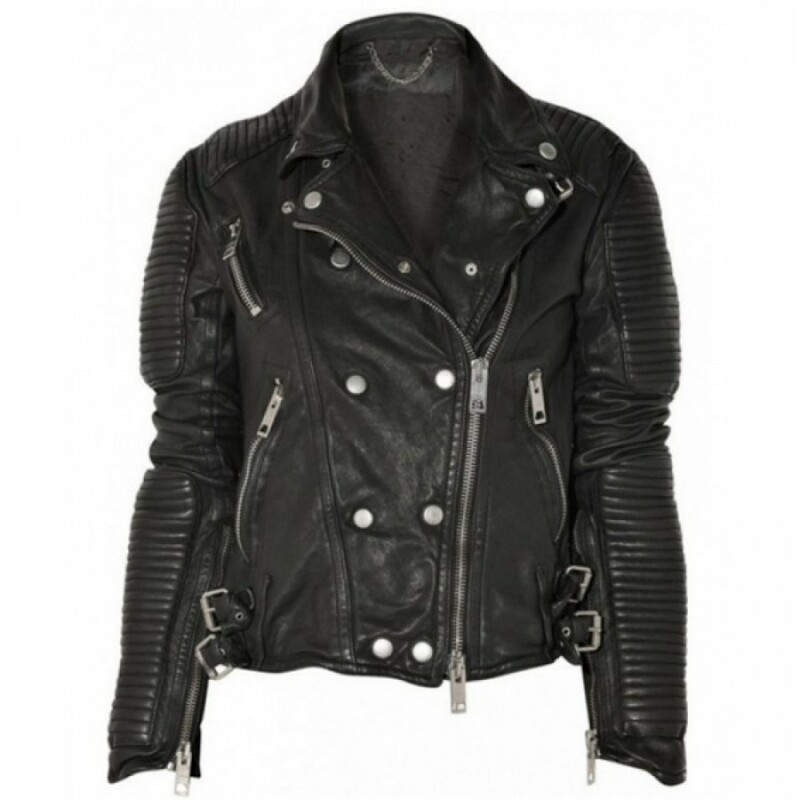 The reason is that this Burberry Prorsum Black Biker Leather Jacket, as names suggests, is made from genuine leather which enhances not only its life but makes it very comfortable. If you don’t want genuine leather, we also produce Burberry Prorsum Jacket with the best quality faux leather without compromising on the quality and comfort aspect. And black color of this latest jacket is what makes this attire amazingly graceful and attractive. Some other excellent features of this Burberry Prorsum Motorbike Jacket include double breasted design patterns, branded zip closure along with zipper pockets and zipper sleeves, double shirt style collar style, and so forth. All these features simply make this Hollywood jacket appealing. In fact, this celebrity jacket has become one of the best-selling fashion pieces this year as recoded by us. Whether you wear this smart movie jacket while riding on your heavy bike or in a gathering with your friends, you’ll be the core personality everywhere. In fact, you should have this piece of fashionable attire because this jacket will give you a perfect typical biker look. So, don’t waste your time now, simple come here and buy Burberry Prorsum Jacket at Glamourjackets.com right now!